Unavaiilable at present - coming in due course. 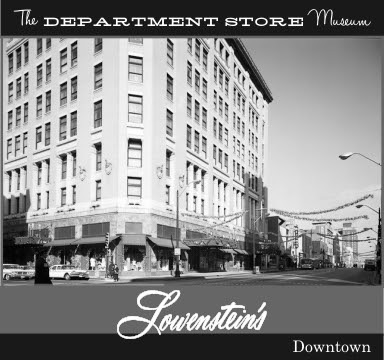 In the very early 70's I had the chance to work at Lowenstein's east. Gordon Archibald was the manager, Rady Crocker assistant manager, later Gary Carter. I went from Men's Furnishings, with Juanita Shepherd, Mgr., to the loading dock with Pete Shea as boss, with Johnnie Garrison, Ray Self, and Jimmy Waller. Mrs. Heard ran the business office, and the notorious ding-dong doorbell sounding store notification system. Mrs. B. Smith ran the Linens section and various young people placed to run the other various departments. Mrs. Coleman ran the "Charl-Mont" in store cafeteria. Store security was Lt. Joe Tucker,of the Memphis Police Department off duty, Mike Dennis and Jeff Johnston. This was my first real full time job!! It was a great place to work and I have nothing but really great memories of the people who worked there. Due to age, I have forgotten some of them. One notable exception was Mr. Royal, Manager Emeritus, who always wore a 3 piece suit and white carnation (real) in his lapel. He actually knew one of the Lownestein family in his time. Mr. Royal was in his earlry 80's at this time period. I left to join the Memphis Police Department but always remembered the wonderful people I worked with. One last bad memory was the annual sidewalk sale in front of the store. Held in mid July, it was a miserably hot time to hold that sale!! Off loading those canvas sealed merchandise bins was literal "hell on wheels." They were always loaded to the bursting point and 4 man lift heavy. A fellow named "Prince" Nelson handled the delivery, full size, tractor trailer rig with the ease one would a wheel barrow. 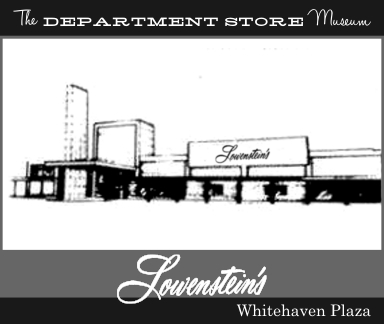 Wonderful times, and I recall the store always was full of shoppers. 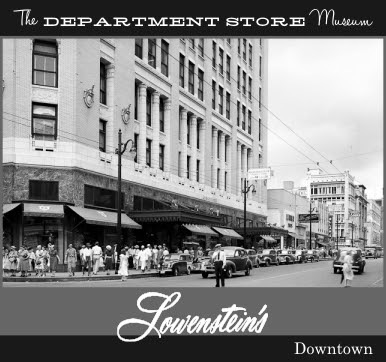 Growing up in Memphis, I fondly remember the display windows in December at Lowensteins Main St store. Mr. Bingle had his own TV show for a few weeks - singing and dancing (Mr. Bingle was a snowman with an ice cream cone hat! Since credit cards were just over the horizon, the well-to-do had 'charge-a-plates' and could pay at the end of the month. Yes, I remember the pneumatic tubes. Lowensteins, Goldsmiths and even the mid-town Sears had them. When I was in high school, there was a class called "Office Practice" that taught every piece of office equipment used in the Department Stores. Typewriters, Spirit Masters (an early copies, adding machines and even the comptometer was part of the curriculum. 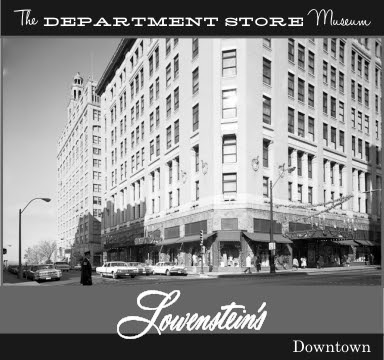 Each spring the department stores that used comptometers had a contest for high school students with the best offered summer jobs in the accounting department. I was lucky to take part in 1965. There was always a giant model train layout in December - truly a Winter Wonderland. Rady Crocker was my father-in-law. My wife and mother-in-law will be thrilled to read this. I worked at Lowenstein's East when I was in college, and remember Jimmy Waller and Mr. Royal very well. 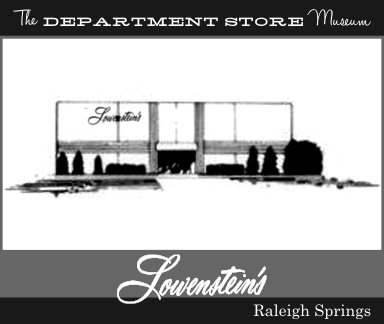 I worked there from September 1976 until December 1980. 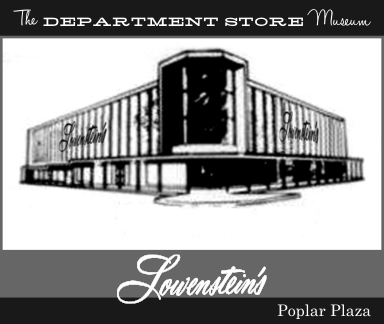 Dot Temple was the Personnel Manager; the store managers that I worked for were Phil DeVore and Ron Filbert, with Roger Marion as the assistant manager. Very good times--I learned a lot and enjoyed my time there.